Click here to view the Notice of Race and for all news visit the Championship website. 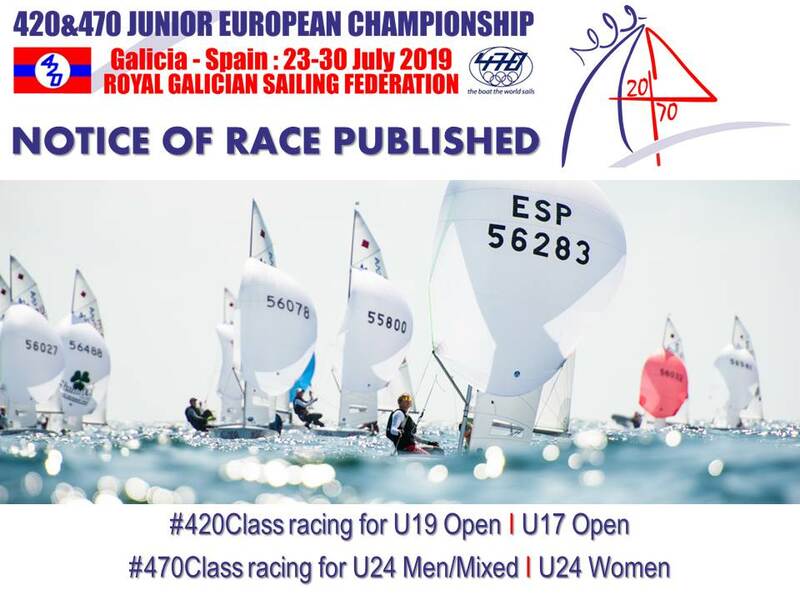 The Championship venue, Vilagarcia di Arousa, is a perfect sailing and racing venue, situated on Spain’s north-western coastline. Dfferent race areas are available depending on the weather, offering race tracks closer to shore and out on the ocean. Weather conditions during the Championship are expected to be 24-30 degrees temperature, with breeze likely to be 8-20 knots from the N/NE, or if from the S/SW 6-14 knots, and up to 20-25 knots in low pressure. 420 and 470 boats are available for charter.